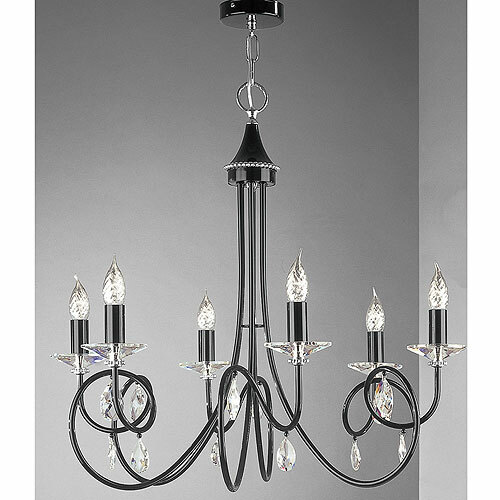 J H Miller Alejandra 6 Arm Chandelier Black has a shiny black overall finish with chrome detailing. This Angelica has 6 lighting arms and is adorned with stunning Spectra Swarovski Lead Crystals. Comes ready to be installed and is chain suspended from the ceiling. Shown with 60W SES bulbs that are not included with the chandelier.